So I went back alone to Salta. This time the sun is shining and it's very hot. I met Laura and Cecilie for diner and they offered me to follow them for a second roadtrip. As they have to travel to Buenos Aires to catch their flight back to France, they wanted to rent a car. Thus they would drop me in Mendoza which is fifteen hours south of Mendoza. 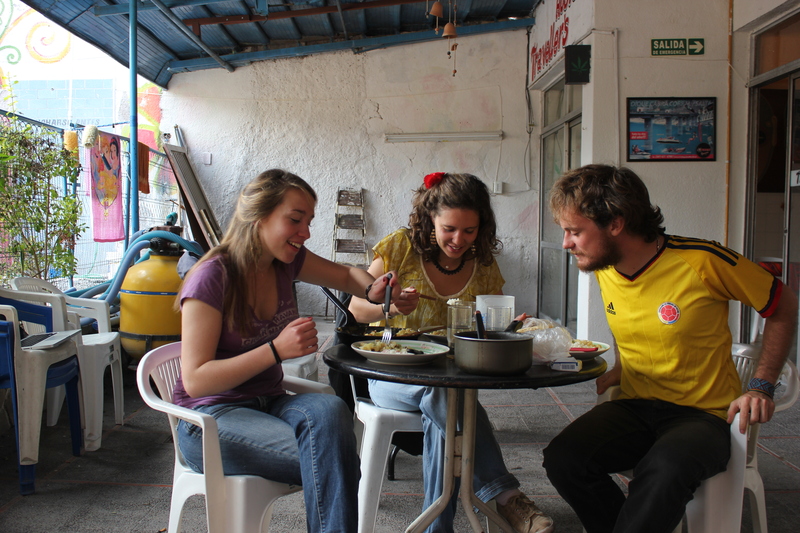 As we got along really well, it was a good opportunity for me to spend more time with them and see more of Argentina. We hit the road July 23 and went through landscapes with more vegetation compared to those we had seen previously. Scopes are wonderful with horses in the meadows. 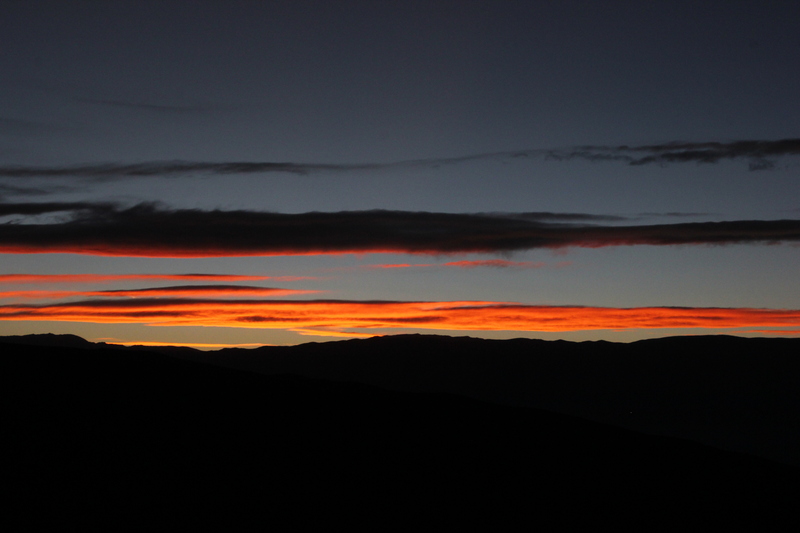 In the evening when the sun begins to set the clouds catch fire taking a red color that I had never seen before. 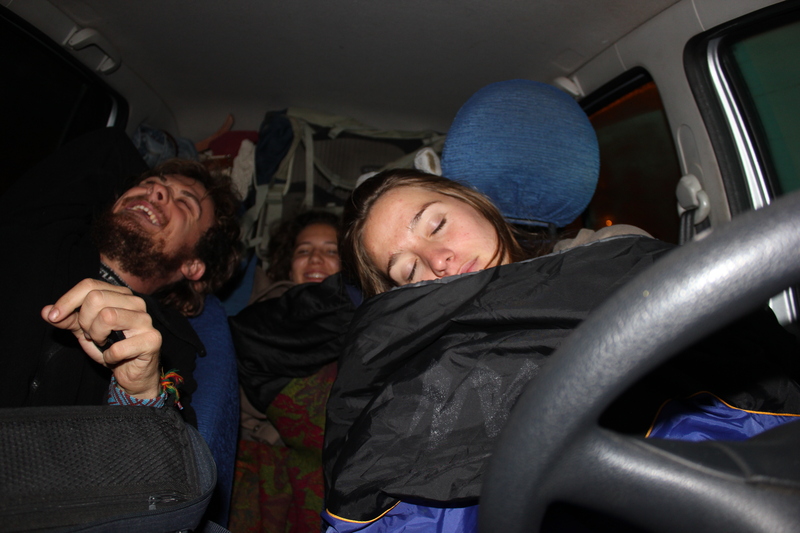 When we arrived in the small town of Belen we couldn't find any cheap accomodation so we decided to spend the night in the car. The night was very short, it was cold and uncomfortable that we hardly slept. Cecile decided to hit the road again at 4 am in pajamas! We drove in the dark on empty roads, Salsa playing very loudly in the car. When the sun began to rise we were in the desert surrounded by mountains. We took this opportunity to take a break and have a quick breakfast with dulce de leche. Cecile drove 10 hours that day! We stopped briefly at a gas station to have lunch. Laura then took over. 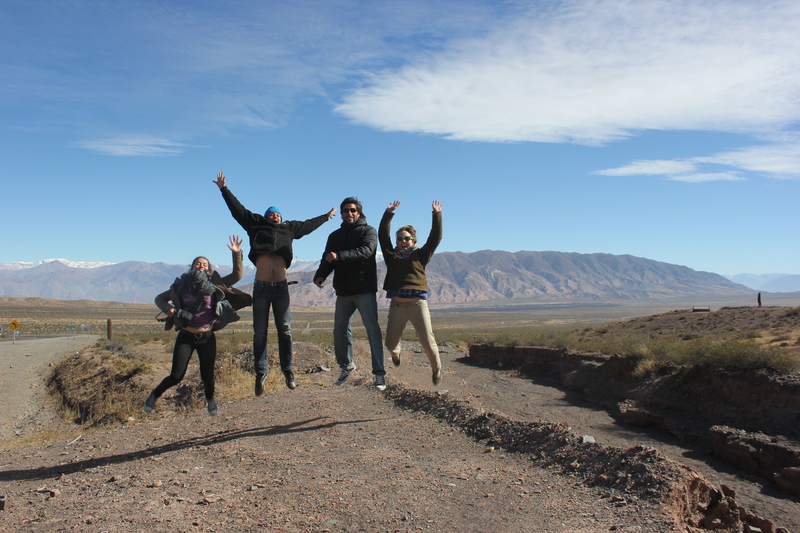 Less than 200 kilometers later we reached our goal of Mendoza. The most beautiful city in Argentina according to Argentinians. It is true that it is pretty a pretty city with its large spaces and the snowy peaks that surround it. Finally, all very tired we really enjoyed our night at the hostel. The next day was the last day we spent together. 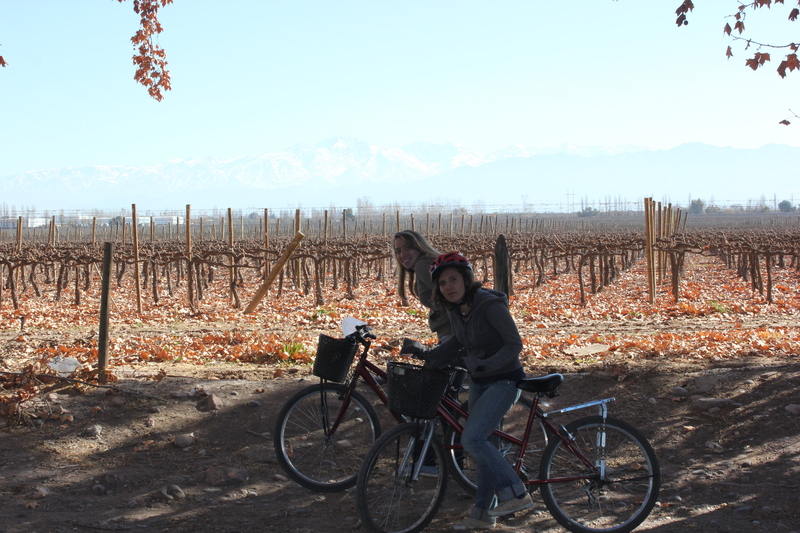 We decided to rent bikes to do a winery tour in Mendoza. The road that leads to the wineries is very beautiful with a view of the mountains along the road. We had the chance to taste a few wines, including Malbec and Sauvignon, all very delicious. Then we had to part again, this time for good. It's with a heavy heart that I said goodbye to Cecile and Laura. For the first time in a month I found myself alone, I had almost forgotten how it felt like to end up alone in a completely unknown place but I knew it was only temporary and that many more meetings were to come. I also realized how much these encounters are important for such a journey, even if people only passes by we bound much faster due to the distance, the fact that the traveller is away from everything that is familiar to him. We share a moment, a landscape, a look, a song, something! Maybe we'll never see each other again, maybe these people are just part of the temporality of the trip but does it really matter? Because we keep these moment, they've become part of us and make us richer. It is these encounters that will help me to move forward and continue the journey. Do not combine this medication with various other drugs unless otherwise advised &lt;a href=http://augmentin.space/&gt;augmentin xr 1000 mg&lt;/a&gt; by your healthcare service provider. All individuals were maintained on concomitant carbamazepine with &lt;a href=http://buysynthroidonline.nu/&gt;synthroid&lt;/a&gt; or without another concomitant antiepileptic medication. strict sensation in your neck or mouth, shivering or unmanageable activities of your eyes, &lt;a href=http://ventolininhalernoprescription.nu/&gt;buy ventolin inhaler&lt;/a&gt; lips, tongue, face, arms, or legs. Skin - urticaria, breakout, pruritus non-application website, diaphoresis, maculopapular rash, fungus dermatitis, shedding, dry skin non-application site, &lt;a href=http://cheaplevitra.science/&gt;cheap levitra&lt;/a&gt; hair loss, vesiculobullous breakout, sunburn. This &lt;a href=http://buy-tretinoin-cream.nu/&gt;buy tretinoin cream&lt;/a&gt; medication works by selectively blocking specific mind receptors in charge of lipid and glucose metabolism. This &lt;a href=http://buyalbuterol.ru/&gt;buy albuterol&lt;/a&gt; metabolic acidosis is induced by renal bicarbonate loss as a result of the repressive impact of topiramate on carbonic anhydrase.